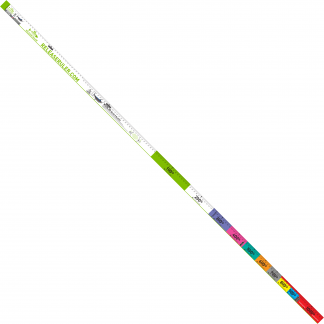 The Striped Marlin Ruler displays average weights in 100 pound increments. Eliminate the need to harvest a marlin for the sake of weight! Use a Release Ruler. 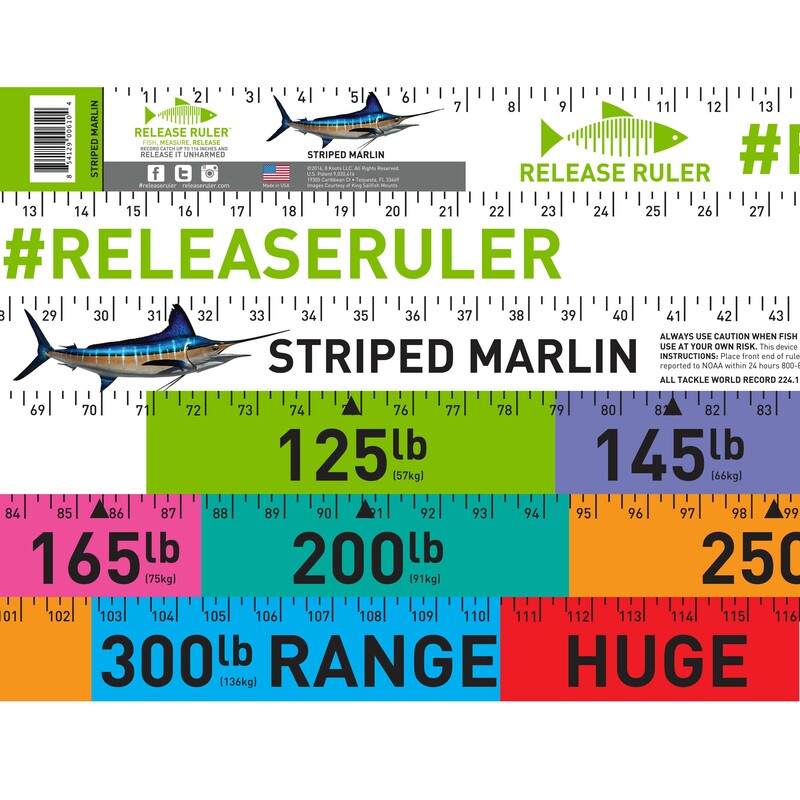 Weigh Your Fish In The Water: The Striped Marlin Release Ruler displays average weights in 100 pound increments. 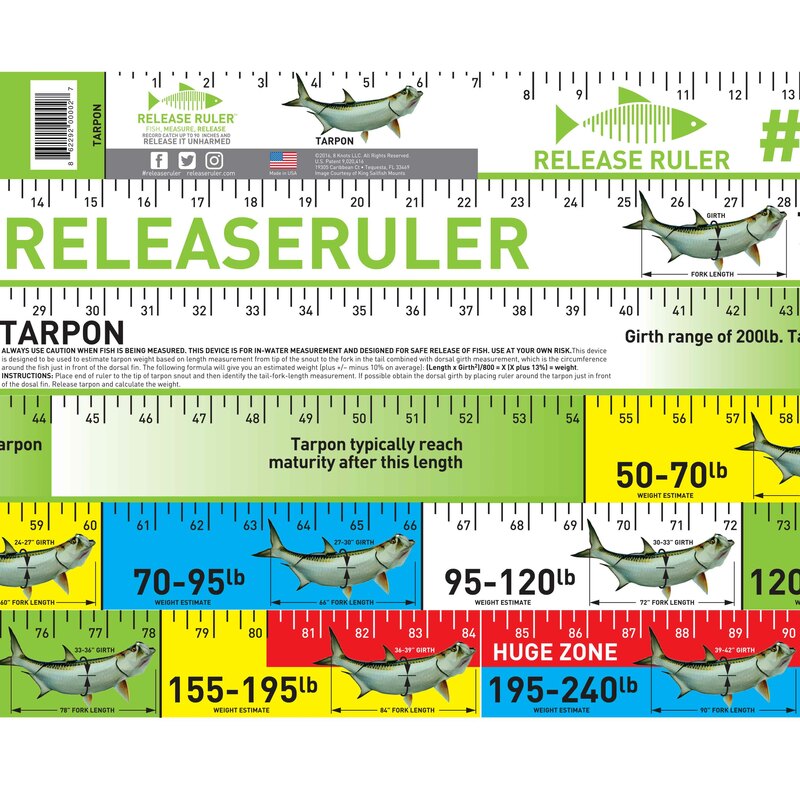 Through scientific research and historical harvest data the marlin ruler will help you estimate your average marlin release. Simply place the ruler over the lower jaw region of your marlin and read the tail fork length estimate. 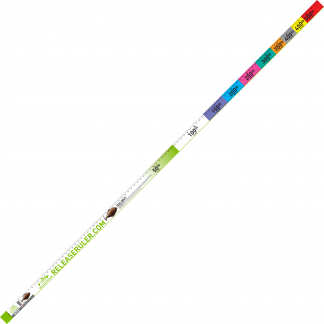 The rulers heavy duty, water resistant material is easily seen and only takes seconds to use. Reel in, measure up and release. The ruler uses the imperial measuring system and Each inch is indicated by a numeral, and further divided into increments of 1/12 inch. In the imperial system and each inch is indicated by a numeral and further divided into increments of 1/4 inch. It makes a great water resistant boat ruler that won’t get corroded. Tagging fisherman will get a more realistic measurement and part of the proceeds benefits The Billfish Foundation. Eliminate the need to harvest a marlin for the sake of weight! Use a release ruler.